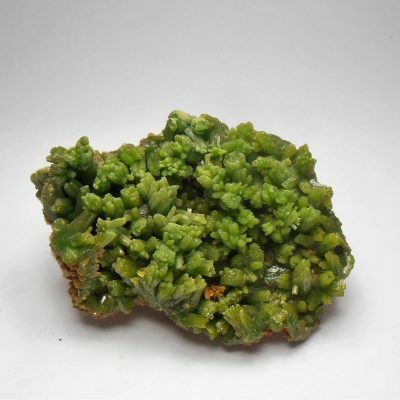 This specimen is from Nuristan Afghanistan. 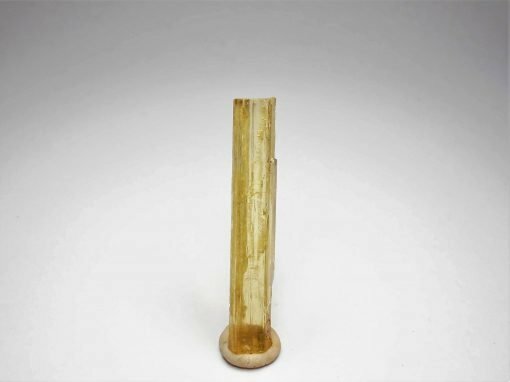 It is a pair of two tone elbaite tourmaline crystals. 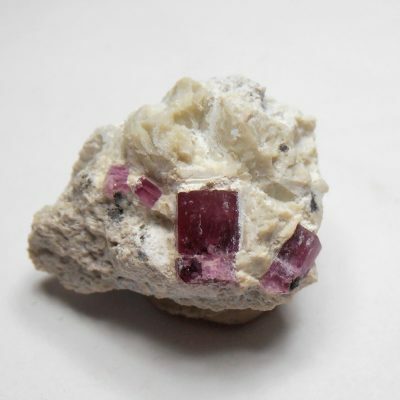 They are primarily rubellite with some green verdelite at the bottoms and tops. 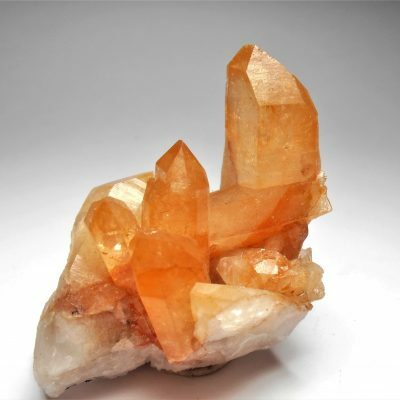 Both the primary and secondary crystals are terminated. The crystals measure 13 x 11 x 9 mm. This heliodor beryl crystal is from Aracuai in Minas Gerais, Brazil. This area contains several mines and diggings in gem and mineral crystal pegmatites. 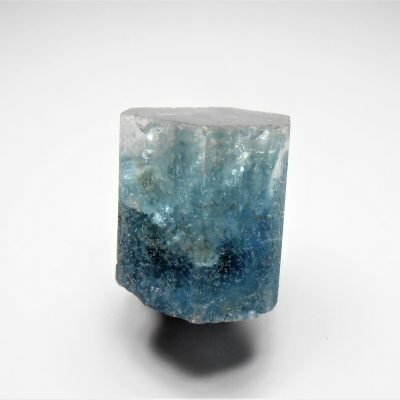 It has 19 known different mineral species including several varieties of beryl. 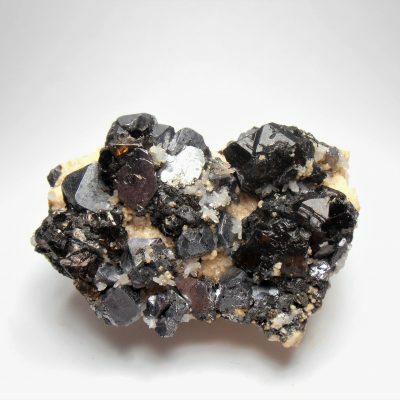 Pure crystals are colorless but it can be found in a variety of colors depending on the trace elements incorporated in the crystal lattice. 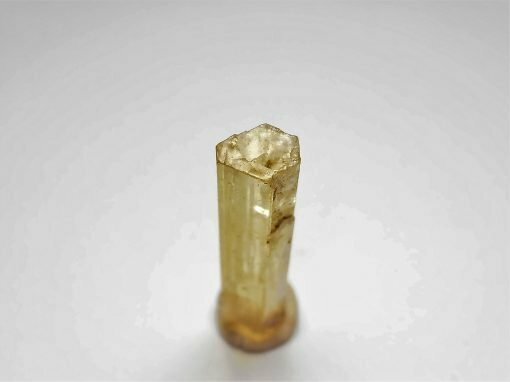 This is a double terminated yellowish heliodor crystal. It is six sided mostly transparent and it has a glass luster. It measures 1 7/16 x 1/4 x 3/16 inches or 37 x 6 x 5 mm.